Priyanka Sachdeva joined Gastrointestinal Associates, Inc. after completing a fellowship in gastroenterology and a fellowship in GI motility at Temple University. She attended medical school at Kasturba Medical College in India and trained in internal medicine in England, where she became a member of the Royal College of Physicians. After coming to the United States, Dr. Sachdeva did a residency in internal medicine at Pennsylvania Hospital. 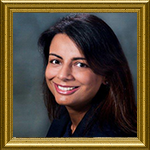 She is board certified in internal medicine and gastroenterology. While Dr. Sachdeva takes care of patients with all types of GI problems, she has a special interest in motility disorders of the GI tract and digestive health in women. Dr. Sachdeva speaks Hindi, Punjabi and Urdu.